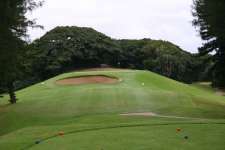 South Africa’s most internationally established golf club, the Durban Country Club was founded in 1920 following the flooding of the Durban Golf Club during the South African Open, and the fear that the city would not host the event again unless another course was built. 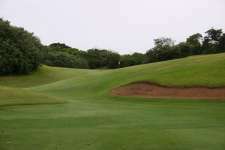 A new club was formed and the chosen site for its course was old swampland north of Durban’s city center, which was blessed with magnificent sand dunes and located less than 100 meters from the Indian Ocean’s golden coastline. George Waterman and Laurie Waters designed the layout and although it has been tweaked several times since, including by Colonel S.V. Hotchkin in 1929, the bulk of the course remains basically as first designed. Durban is a contrasting mix of links and parkland golf, with fairways generally cut through dense tropical vegetation and native bush. Eight holes are routed within the severely undulating dunes and the remaining ten are situated out on the flatlands. The opening five holes run adjacent to the beachside boundary and occupy the sites prime sandhills. The best of these is the par three 2nd, which overlooks the coastline and features a superbly bunkered back-to-front sloping target. Squeezed between this masterpiece and another wonderful short hole is the world famous par five 3rd, which heads through a substantial dune valley. Elsewhere on the front side, the 5th and 6th are both excellent strong four’s while the par five 8th is a fantastic challenge that is notorious for its semi-blind approach played across a heavy diagonal ridge and into a small crowned green ringed by the thick bush. The back nine is a bit of a mixed bag unfortunately, the two closing holes are fabulous but the rest is laid out across a fairly flat and unexciting field with several holes of only moderate architectural interest. The obvious exception is the evil par three 12th, which is a real card wrecker and plays along a steep ridge to a narrow tabletop green that falls sharply on either side. The 17th is a remarkable piece of routing, its approach crossing a deep basin that features some truly nauseous undulation. Completing the round is a charming drivable par four with an obscured and falling target that must be approached from a narrowing left section of fairway. An exciting journey from start to finish, the highlights at Durban generally come on holes where the significant gradient changes are used within the fairways. The massive bumps leading into the elevated 17th green, for instance, and those fronting the par five 8th are some of the largest on the course and the optical intimidation they present golfers has helped protect the layout from becoming redundant in the wake of technological advances. The expansion of the city, however, has had an affect on the club with the course now wedged between two major coastal roads and the 16th hole realigned to accommodate the widening of a freeway. The 15th also had to be rebuilt in 2002 after flooding had damaged the original hole. While there is no doubt that Durban deserves its place among the top few courses on the African continent, it is slightly spoilt by the weaker flatland holes further away from the shoreline. 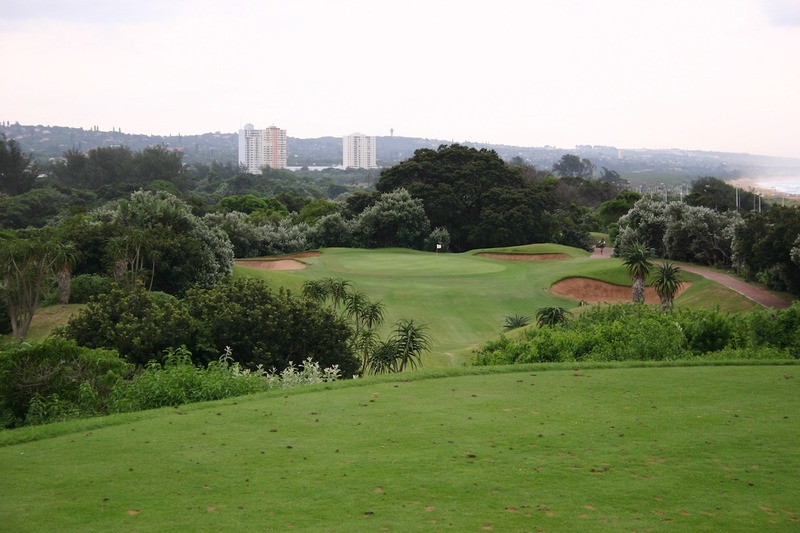 Its best holes, however, are very special and although there is a major disparity between these and the less impressive moments, there is much to admire about the Durban Country Club and its delightful golf course.